At RVC, students are given the tools to follow their natural curiosity and explore their interests. RVC’s approach fosters both independence and collaboration, nurtures social and emotional development while encouraging academic achievement. "I can see it in their eyes. That's what learning should be: passion. We are all passionate about the importance of our learning, so we all form a community together, volunteer together, help the kids thrive." 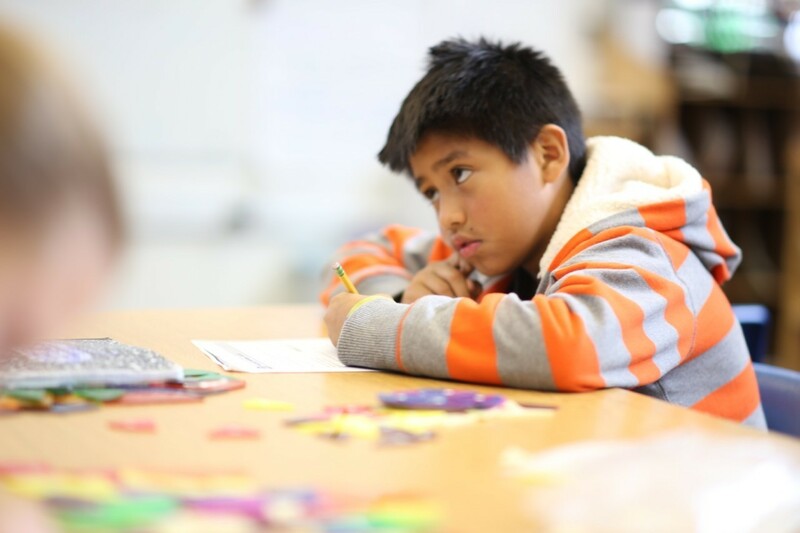 Ross Valley Charter is a tuition-free public school offering students in Transitional Kindergarten through 5th grade a distinct learning experience. RVC teachers are innovators, committed to a model of progressive, inquiry-based education that emphasizes deep inquiry and exploration in multi-age classrooms. Our teachers value curiosity and encourage children to trust their natural desire to question and explore. 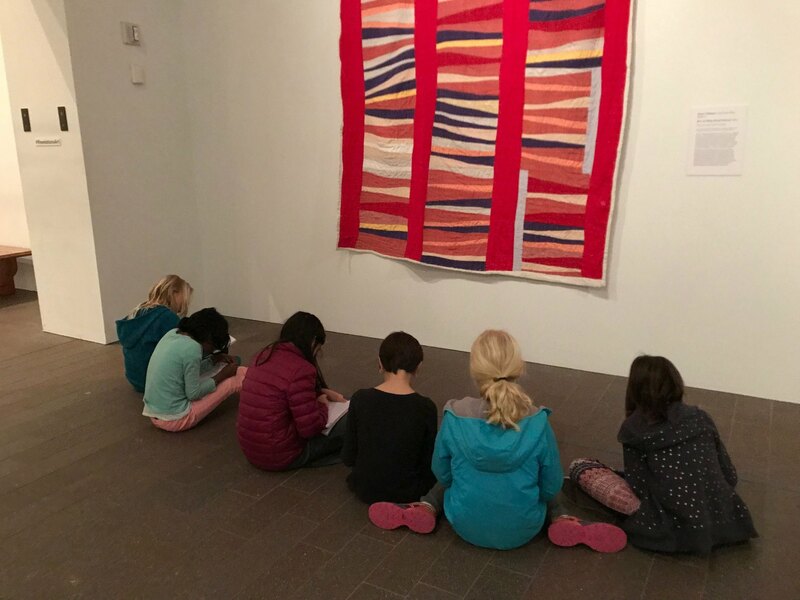 Core academic skills are woven into play, investigation, performance and art. Students learn at their own rate and are encouraged to express their intelligence and gifts in a multitude of ways. All RVC teachers are state-credentialed and are guided by the Common Core State Standards. Our students take state-mandated standardized tests. RVC received authorization from the California State Board of Education, and receives oversight from their charter division. "My favorite part of multi-age is developing a deep and meaningful relationship with my students and their families. The children experience significant academic and social/emotional growth, particularly in the second year, because they feel so safe and comfortable." RVC students will be in classes with two grades together (typically TK/K/1st, 2nd/3rd, 4th/5th). They will stay with the same teacher for two years, building a deep, trusting relationship with their teacher. It also means they typically have only three teachers during their elementary school experience, minimizing the anxiety that children often feel as they move into a new school year. At the beginning of the second year with the same teacher, there's no need for a “getting to know you” period; students immediately pick up where they left off academically, with teachers knowing what they need to focus on from the start. This second year is especially valuable in terms of academic progress, and RVC teachers enjoy the opportunity to watch children grow over two full years. Students also get the opportunity to alternate between being a younger and an older student in their classes. The younger students learn from the older and more experienced students. 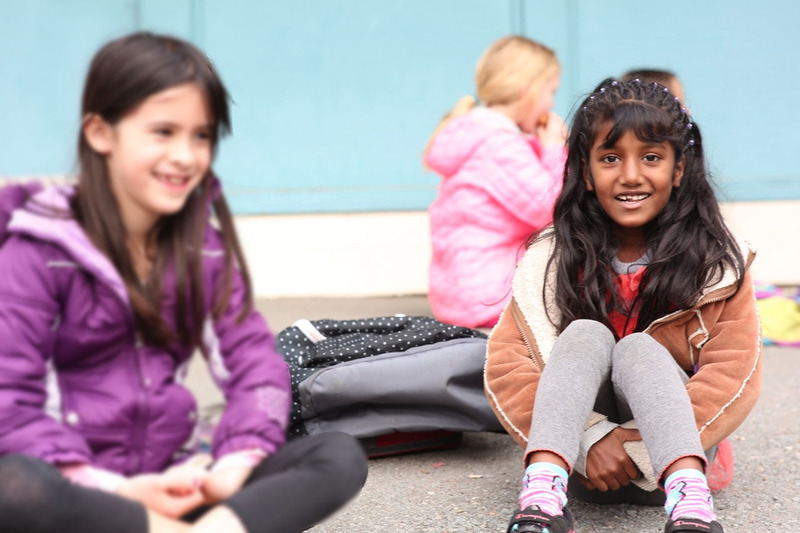 The older students model behavior and help welcome the younger children, which supports our school culture of students learning from one another and relying upon each other. Teachers encourage students to find answers amongst their peers and children become comfortable with helping each other, regardless of being the younger or older student in the classroom. Students in mixed-age classrooms represent quite a broad range of developmental levels, academic proficiency, and experience. RVC students are adept at thriving in a community with learners at all stages, and with this exposure, they gain respect for individuals learning at their own pace. They develop a greater appreciation for their own progress when they witness others being introduced to skills they themselves have learned previously, and they can envision where their learning will take them as they see what more experienced students are able to achieve. "With these teachers, my kids are viewed and respected as co-creators of their own education, not simply being taught concepts and filling out worksheets. RVC teachers transport students through time and space to immerse them, mind and body, in learning. As classrooms are converted into forests, oceans, castles and caves, learning becomes relevant, memorable and fun. In addition to their main class, students also have Spanish, art, music and physical education classes every week. Core academic skills are woven into play, investigation, performance and art. RVC teachers transport students through time and space to immerse them, mind and body, in learning. As classrooms are converted into forests, oceans, castles and caves, learning becomes relevant, memorable and fun. Inquiry-based exploration that empowers students to have a voice in their learning while providing meaningful context to core academic skills. Trusting student / teacher relationships, nurtured over the course of two years in multi-age classrooms where children learn from, and with, each other. Inclusive environments where student choices, abilities, perspectives, and emotions are valued. Engaged communities where parents, teachers and students are partners in education. "We're cultivating risk-takers. They are not afraid to be up front, to fail." RVC is designed to create confident learners. 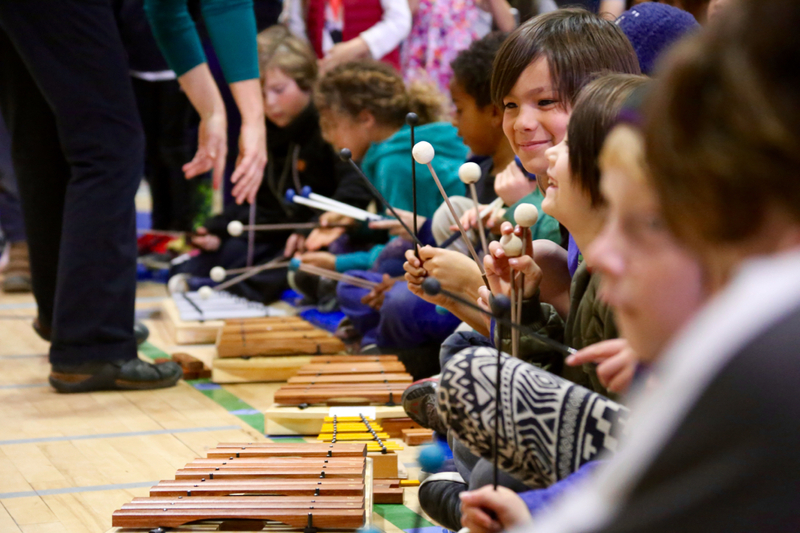 Our program and teachers encourage each child’s natural curiosity of the world around them. Teachers look for ways to say “YES” to curiosity-driven ideas, projects and approaches. Teachers recognize “mistakes” as learning opportunities. Out-of-the-box thinking and safe risks are encouraged. 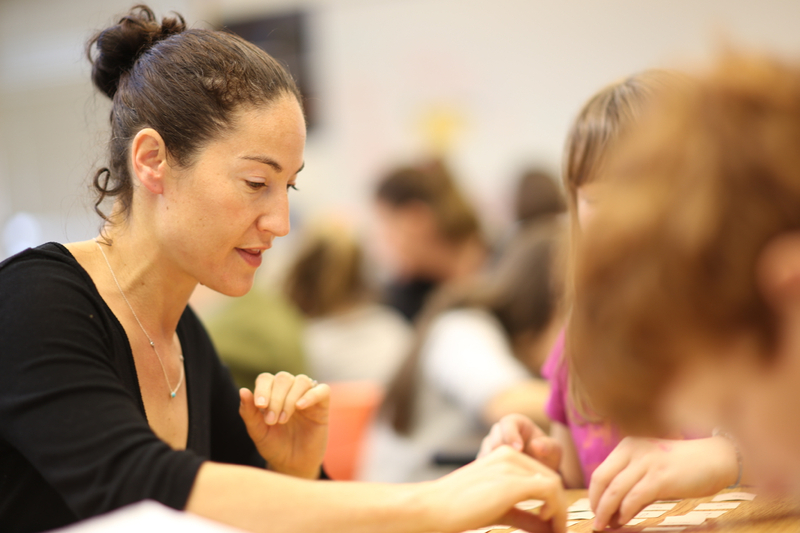 Teachers challenge children to ask critical thinking questions as they seek, explore and craft solutions. Teachers, administrators, parents and students collaborate with one another to create an inclusive community of learning and trust. Independent learners who know how to find and apply information, and are comfortable taking risks. Problem-solvers with extensive experience working in teams to integrate perspectives and present solutions. Effective communicators, perceptive listeners and compelling presenters, who are comfortable using speech, performance, movement and other media to express ideas. Creative and adaptive thinkers who go beyond identifying a single right answer. Individuals who persevere through challenges to discover their full potential as learners, leaders, and community members. Caring global citizens with a sense of belonging, compassion for others, an eye for social justice and a positive experience of diversity. Academically prepared students with strong language, math, and science skills that they can apply meaningfully to relevant problems and real-world applications. "I’ve learned so much about kids and parenting from watching RVC teachers in action. Rather than fix, they encourage. . . they answer with questions. I love watching smiles appear as kids realize they can solve their own problems." At RVC we are proud of our unique learning community. Ross Valley Charter believes that our students need to be prepared for a world that may be difficult for us to envision. We want to equip our students for a lifetime of learning, change, and collaboration. With information and data more readily available to all via the Internet and other media and technology, it is no longer as important to memorize discrete facts. Rather, success will call for knowing a coherent body of knowledge that facilitates knowing how to access information, acquiring knowledge, and applying it to solve novel problems. Doing so requires resourcefulness, flexibility, and an ability to see things in new ways. Educated citizens of the 21st century understand that life is interconnected and interdependent, and will see themselves as lifelong learners in order to be active and responsible members of a diverse global community. Our students will need to be culturally competent to work and interact effectively with a wide range of different people and perspectives. Today’s students need to build and employ a broad range of skills, including reading, writing, speaking, listening, and computing, as well as the ability to seek information, communicate effectively in multiple mediums, and be creative and critical thinkers. Students will need compassionate and resilient social and emotional skills to participate in healthy relationships at home, work, and in the larger world. They will need to be able to work independently as well as cooperatively with others. It is the objective of Ross Valley Charter to enable students to become self-motivated, competent, lifelong learners. If your child is eligible for Transitional Kindergarten at RVC, his or her application will be drawn with the Kindergarten applications in the lottery. TK students will be placed in Kindergarten/1st grade classrooms, but they will follow a modified curriculum that is age- and developmentally- appropriate. At RVC, parents are encouraged to get involved. Whether helping with math games, supporting new readers, supervising a building project, planting a garden, or serving on the Leadership Council, parent volunteers are a vital part of the RVC community. Parents who cannot volunteer during the school day often take home projects or participate in evening or weekend events. Parents are not required to volunteer. However, many parents find that helping with their child’s class enriches their lives. At RVC, it is our mission to understand and support the unique social, emotional and academic needs of every child. In addition to the classroom teachers, RVC staff includes a Special Education Teacher (click here for more information about our approach to Special Education), an Intervention Specialist, an English Language Development Teacher, and a bilingual Family Outreach and Support Coordinator.